May | 2013 | Book Hub, Inc. I wanted to read Give in order to learn how to give more authentically. In many ways the book was what I expected in terms of learning to give according to your values and to give freely in every sense of the word. Had that been all there was, I would have been satisfied with the book and then put it down and promptly forgotten about it. This book rose above my expectations for two main reasons. The first of these was the importance of giving to oneself. I think many people, myself included, tend to put self-nurturing last on their ever increasing to-do lists. What Ms Harper does beautifully is to challenge this notion that “spoiling” ourselves is somehow wanton. She reminds, or in some cases teaches, us that only when we are kind to ourselves, when we allow ourselves time to replenish and heal and even maybe have a little pampering are we in any way able to give to others. And the better we treat ourselves, the better we will be equipped to give to others. I found this to be a very powerful message and one that I have already started to incorporate into my daily habits. 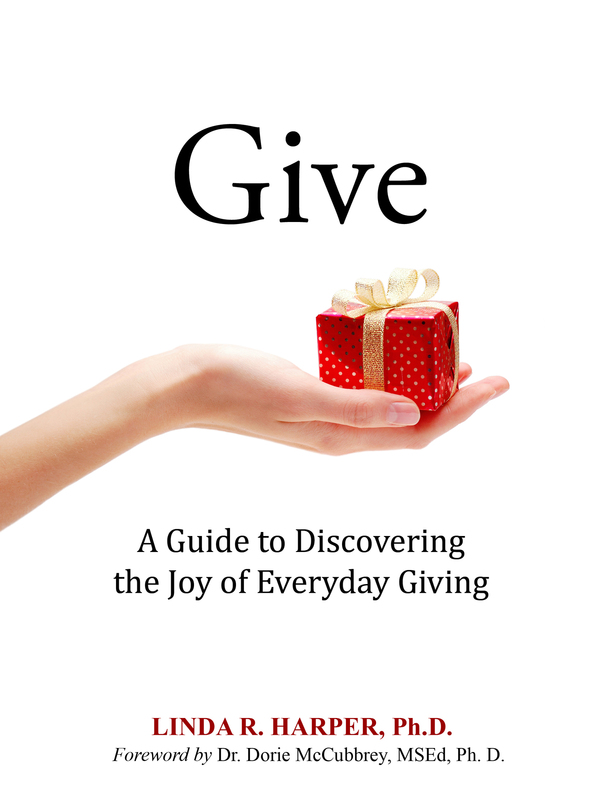 The book also looks at various types of inauthentic giving and that’s where it started to get uncomfortable. I certainly recognized some of the not-so-pleasant aspects of my personality in one of the types, and it was not entirely pleasant reading! Whilst I identified a lot more with one of the types, there were ideas and suggestions that resonated with me in each of the chapters. By saying this was an uncomfortable read, by no means am I implying any criticism of the book. When I read these types of books, I want to be made uncomfortable, to be provoked, to have my actions challenged (albeit gently, which is exactly how Ms Harper does it) as it is these feelings that can provide the impetus for lasting change. On the strength of this book, I will definitely read more by Ms Harper . . . On an Amazon style review, I would give this 4 stars. Aloha Jack and Sammy, along with their lovable dog Coco, go to the beach expecting a wonderful day of surfing and playing in the deep blue waters of the Pacific Ocean. Instead, they find a treasure map that leads them on an adventure to Haleakala National Park on the beautiful Hawaiian Island of Maui. During their quest, Aloha Jack and Sammy face the dilemma of doing the right thing, something many of us face in our daily lives. Will they make the right decision? and THE INDIE eBOOK SHOP! *This book is currently open for review. Please contact marketing@book-hub.com to learn more on how you can become a book reviewer for Book Hub Inc. Publishing! Posted on May 30, 2013 by BookHubInc Tagged actionAddictedadventureann loganbest sellerbook saleCandice Kohlcastlecharadescontemporarycontemporary fictioncontemporary romanceDestiny's Disguisedrugsebook saleelizabeth taylor georgefictionHeart of Steelhistorical romanceJennifer ProbstJoAnn DeLazzarijungleknightknight's desiremedeival romanceny times best selling authorregency romanceromanceromance ebooksromance fictionromance novelsromantic fictionsaleunlikely romanceusa today best selling author	Comments3 Comments on All Romance eBooks 503 Off! One Week Only! All Romance eBooks 50% Off! One Week Only! for the next week through All Romance eBooks! As a thank you to all our dedicated followers, whether you’re a reader, writer, or reviewer, we’d like to offer a special sale for helping us reach 3,000 followers. Thank you! If you haven’t already, be sure to join us on Facebook, Twitter, and GoodReads to learn about more of our service specials and sales. Mercedes Fuentes, or Mousy Mercy as she often refers to herself, has buried herself in academia in order to avoid those frightening creatures that make up the other half of the human population: MEN! When an opportunity to pay off the majority of her student debt is offered to her by a family friend, Mercy has her doubts. But how can she refuse a weeklong date with a handsome man, at the end of which she will be nearly free of all debt? Enter the seemingly innocuous, over-worked oil tycoon Wulf Rheinhart, a man in need of a fake fiancée for a week in order to close a business deal with a family-oriented Texan. One charade leads to another in this fast paced car chase of a romance where no one is who they seem to be. Lord John, the earl of Farleigh–his giant frame scarred by battles fought as a mercenary knight–returns home to England to claim his unexpected inheritance. But now he must battle against the wicked baron Elwood of Eye and a woman with an inner strength to match his own who dares to love him. Lady Gwyneth–her willfulness and deceit borne not of treachery–determines to wed the new earl in her sister’s stead. Expecting nothing but cruelty at her husband’s hand, she is surprised to find herself the recipient of that which she has so often given but never received: love. But Gwyneth has dark secrets that will inevitably be revealed, secrets that will test the strength of their love. Chandler Santell avoids men–especially the rich and powerful ones who believe more in money than in people. Desperate to save her struggling Yoga and Arts Center, her last hope is the most powerful man in the finance industry, a man reputed to have a “Heart of Steel.” Logan Grant knew he was in trouble the moment Chandler Santell walked into his office. He agrees to her crazy deal only when she risks all and guarantees him a profit. Behind the scenes, a dangerous game of love, power, and greed begin to play out–a game Chandler knows nothing about. The payoff is worth millions to the man who can win Chandler’s heart. But is love worth the price? Judson Langley yearns for lands of his own. Sent to Cresswell Castle by Lady Emily Goodfife to prove her great-granddaughter is alive, Judson is torn between greed and his obligation to Lady Emily.If he proves the girl, Arian Goodfife, is dead, he stands to inherit Cresswell. Judson expects to encounter the castellan’s hostility, but not the loss of his heart to an enchanting serving girl. How could he know that the secret she hides threatens to tear all his dreams asunder? Arian Goodfife, rightful heiress of Cresswell, lives in the shadows, dirty and wretched. After her mother’s suicide, her cruel stepfather claimed to all that Arian died in a fire. Her identity stripped away, she trusts no one. Driven by the desire to regain Cresswell, she vows to depose her stepfather. Then a dark, handsome knight named Judson arrives, making another claim on her lands. Though he touches a place in her heart she thought had turned to stone, Arian realizes the peril she would face were Judson to discover her true identity. Is Judson an angel or a devil? Only a miracle of love will answer her question. HURRY! OFFER ENDS JUNE 6TH!! Two female teachers are camping in the wilderness at the junction of Wayah Mountain and the Appalachian Trail. One is murdered and the other disappears without a trace. Through a series of discoveries, the mystery begins to unravel with the help of the husband of the murdered woman. For two years, lawmen chase the case, and the serial killer whom they must extract from his cliff hideaway in the Nantahala National Forest. Based on actual events, ‘The Owl Knows’ is a story of mystery, friendship, and love amidst the background of the Appalachian Mountains. SONY, GOOGLE BOOKS, and OMNILIT. BOOK REVIEW! Danielle West- All Change Please.